We see technology as a key foundation for the development of a winning strategy (Figure 1). By "strategy" we understand the set of choices regarding Markets & Customers, Products & Services, and Channels that define your company or organization. As we approach the idea of developing a winning strategy it becomes clear that these choices—especially those related to Products & Services and Channels—are driven by the technology available in the company or organization's field of work. That is to say, it is the available set of choices related to Production Processes, Sales and Management that optimizes your business as a whole. With this in mind, Radix supports its customers in understanding how technology can help them overcome their major operational challenges and empower their business to grow. In other words, as demonstrated in Figure 2 below, we want to answer our clients' most critical questions through state of the art technology. What questions, challenges, or opportunities does your business have when looking to your area of operation? How can technology help you find the solutions you are looking for? Radix was created with the ambition to support our customers' business with the most critical technology issues of their operations. We seek to align our technological expertise with the needs and opportunities of our clients through innovative solutions, specified and implemented with a deep understanding of their operations. 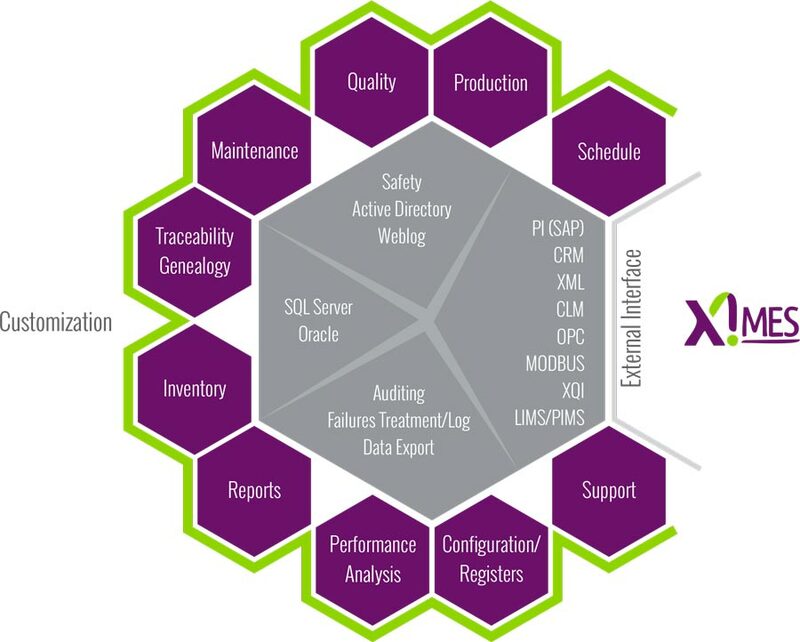 Radix combines engineering, software development, automation and industrial IT to deliver its customers a customized solution tailored to address their needs. This unique portfolio enables us to meet the multiple challenges of industries and organizations around the world. Our multidisciplinary team possesses both technical and market knowledge with which they are able to solve the most complex challenges of global industry. Our accumulated experience in different markets, combined with our ability to understand key customer issues, affords our team a unique perspective in regards to any problem our customers may face. Why is the Digital Revolution so relevant to your daily operation? Operational intelligence aims to assure operational efficacy and maximize operational efficiency while mitigating risks. It is built on an understanding of the set of choices related to production and service execution, maintenance, supply chain management, and sales. Operational intelligence is critical to the success of a business. What do I need to do to ensure the maintenance of quality of my products and services? How can I gain better control over my production? How can I allocate my resources to guarantee the expected results on revenue and costs? How can I leverage information technology and electronic channels to reduce costs? How can I reduce the operating costs of the company? Can I produce more efficiently with less power? How can I reduce operational risks? What should the technological path for the next growth cycle of production be? Do I have the company's operation and management information in order to ensure proper decision making? Based primarily on the four technological advances below, the Digital Revolution is changing the way we do business. Operational time frames, space restrictions, storage capacity and processing power limitations are being redefined thanks to recent technologies, like intelligent sensors, networks, cloud services, machine learning and so on. A rising volume of information is moving faster through a more intelligent network. Reconsider past solutions to problems solved so as to offer improved efficiency. Solve unsolved issues due to lack of necessary information. Identify new issues and opportunities due to new information acquired and increase capacities for analysis. We believe that businesses should look to this Digital Revolution as an opportunity to take their Operational Intelligence to the next level, and enhance their performance. Our approach to the Digital Revolution always begins by defining the Questions we want to answer. That is, asking ourselves “what do I want to know?” Specifying the issue and understanding its boundaries is a strategic step to capitalize on this revolution’s true value. The outcomes of the Digital evolution application are always the Answers to the questions posed initially. Questions originate in the Real World, the environment where the operation happens. It is also the source of all data needed for answers. Using physical and chemical sensors installed throughout the World, the required data is captured. This stage is also known as Data Acquisition. 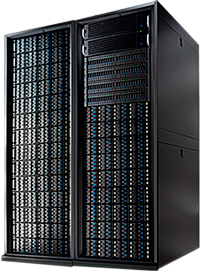 Data acquired previously is transported from the World to a storage drive. 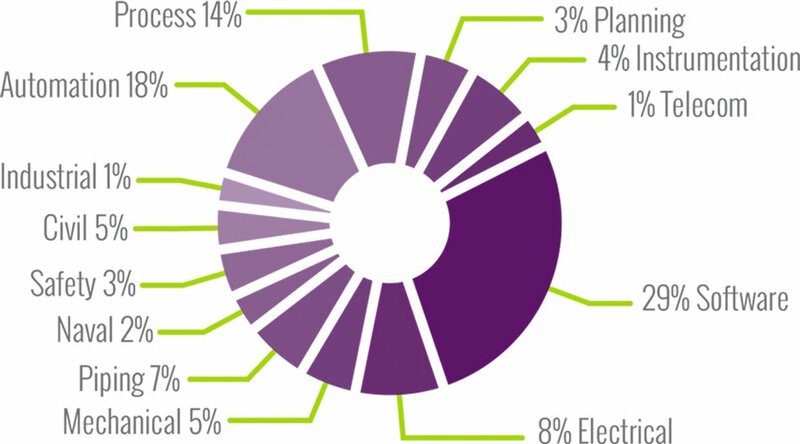 Transport choices may vary primarily on distance, and then on costs and availability. 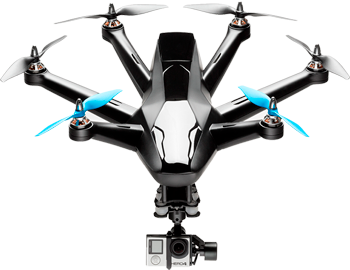 Available options, in order of ascending distance, are: Bluetooth, Infra-red, Wi-fi, Radio Frequency, Cable, GPRS, Satellite and other mergent technologies. Large amounts of data (big data) are then stored. Storage can be either on-premises or cloud-based. The choice may take into account required security evels, expected return of investment, projected data volume demand, expected productivity collaboration needs. Storage options can also be relational nd/or historical regarding the type and volume of data being transported from the World. The data stored is processed using analytical tools to answer the question made initially. Analysis may vary in level of sophistication due to the complexity of the questions, time constraints and reliability of final information. 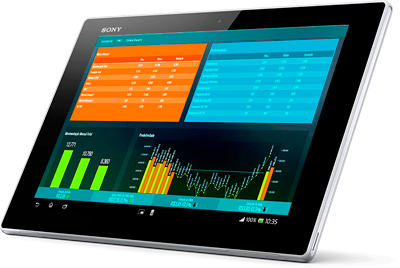 Analysis results are displayed on fixed or mobile devices. Availability and Mobility of final information varies in accordance to the specific equirements set forth by business management. Cyber Security must be a major concern throughout the entire process. It is imperative that the correct information is going to the authorized entity at any given time. 1. How is IoT (Internet of Things) changing my World? 2. 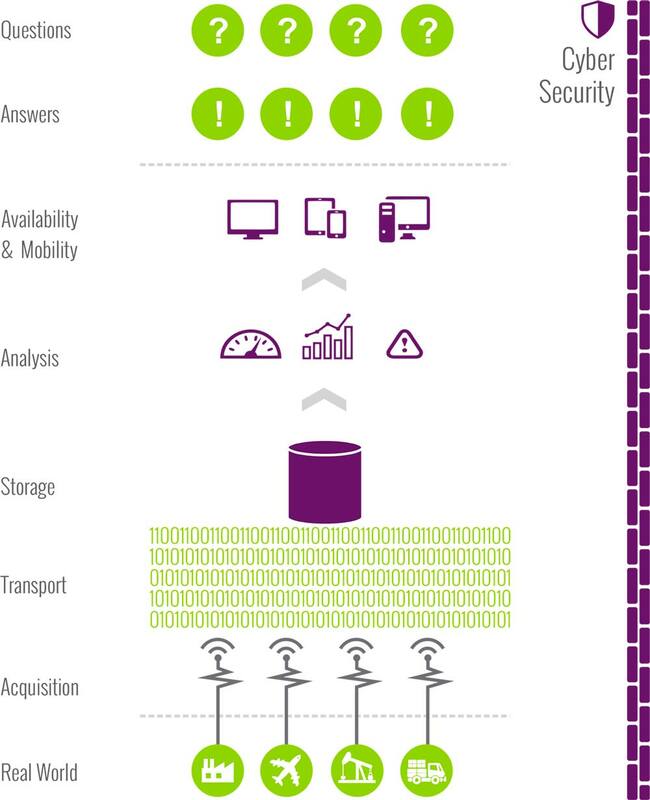 How can Big Data and Advanced Analytics leverage operational intelligence? 3. 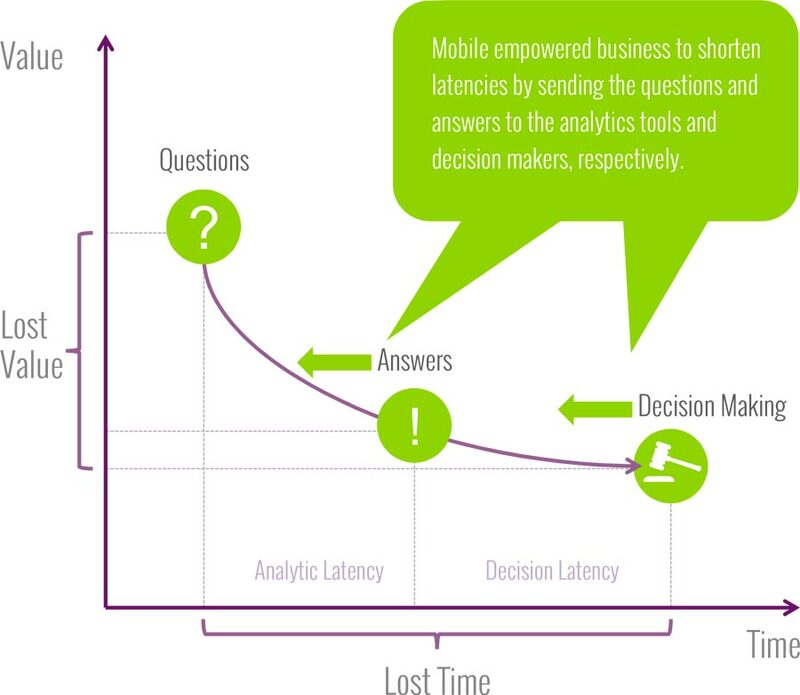 How is Mobile Technology improving operational intelligence? 4. How can I guarantee Cyber Security throughout my entire network? How is IoT (Internet of Things) changing my World? 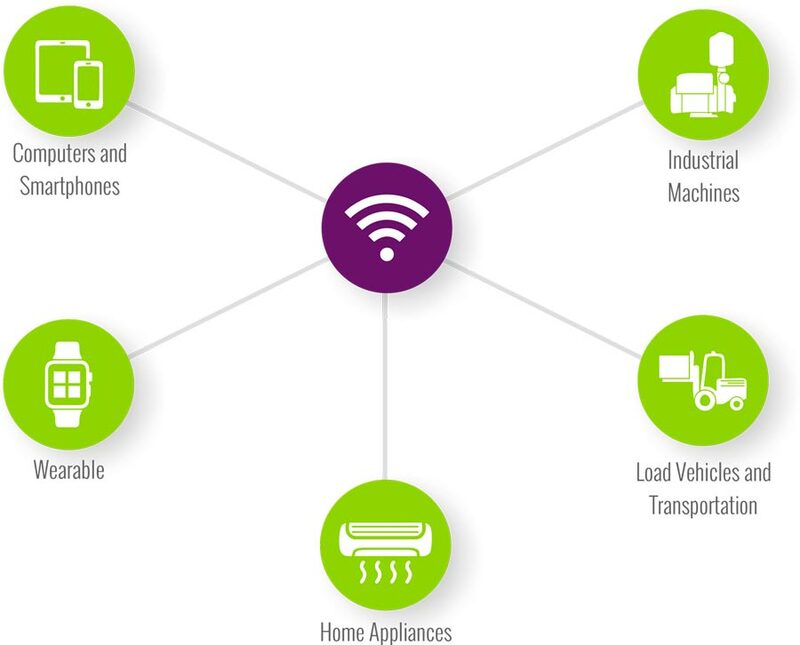 We understand the Internet of Things as connecting any device to the Internet. This includes everything from cellphones, coffee makers, washing achines, headphones, lamps, wearable devices to components of heavy machinery, such as a jet engine of an aircraft or the drill of an oil rig. Due to technological advancement in sensors, data communication, storage and processing of large volumes of data in real time —on site or remotely— it is now ossible to transform the data generated in real time, anywhere. The next step of this evolution might be the Internet of Everything, connecting people with things. Radix has extensive experience in solutions of many types related to industries and has extensive experience in operational data collection. With the volution of technology equipment and advances in communication protocols, storing and processing, the amount of global data has increased exponentially. dditionally, there have been increases in the variety of data generated (much of which went uncollected historically), the need for processing speed and he need to ensure the veracity of data (The Four V's of Big data). This reality requires an ability to work with large volumes of data to generate nsights in order to increase the efficiency of operations. How is Mobile Technology improving operation intelligence? The speed at which things happen today demands an increased reaction capability, necessitated by an surge of data availability that was once largely nonexistent. On an operational scale, this ability is directly reflected in ensuring the effectiveness of the operation (e.g through more assertive maintenance routines). To respond to this need, increased investment in Mobile Apps is needed to ensure the smooth running of operations, as well as enable increases n efficiency. How can I guarantee Cyber Security troughout my entire network? While rapid technological developments have provided vast areas of new opportunity and potential sources of efficiency for organizations of all sizes, these new technologies have also brought unprecedented threats with them. Cyber security —defined as the protection of systems, networks and data in yberspace— is a critical issue for all businesses. Cyber security will only become more important as more devices, ‘the internet of things’, connect to the internet. With this in mind, Radix stands ready with the skills and services needed to develop this area even further.